Prior to joining Katten, Andy founded law firm Eimer Stahl Klevorn & Solberg and was a partner at another large law firm. 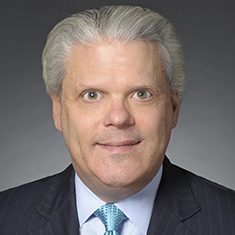 He is a frequent writer and commentator and is published in The Wall Street Journal, the American Bar Association's Antitrust Litigator and Corporate Counsel magazine. He is a regular speaker and panelist at antitrust conferences and seminars. Shown below is a selection of Andrew’s engagements. Representation of Kimberly-Clark in connection with its acquisition of Scott Paper Company. Representation of the nation's largest printer in its successful defense against a preliminary injunction proceeding and subsequent administrative action brought by the Federal Trade Commission seeking to enjoin the acquisition of its leading competitor. This matter represents one of the few transactions in which the FTC lost both the preliminary injunction and administrative litigation that sought to bar a proposed merger. Dismissal of Holcim (US), Inc. against claims that it had conspired to fix the prices of cement and concrete in Florida. Defense of a leading chemicals manufacturer in a grand jury investigation of potential price-fixing and market allocation; no indictments were returned. Defense of Kimberly-Clark against claims that it monopolized or attempted to monopolize the sale of disposable training pants.